delight, trying to get higher & HIGHER up to the sky!, wile away those warm & sultry summer days. Remember how we would hang from the trapeze bars at the school ground, twirling on the spin bars until we were dizzy? No more WII, no more books ... outdoor fun, imaginations run wild, lots of sunshine & happy looks ... flying high into the sky, the breeze whisking their hair freely ... these beautiful memories of those carefree days are there for your children with the wonderful selection of CSN wood swing sets, styled for every imagination. LEAVE A COMMENT ON THIS POST, ONLY. EASY PEASY!! IF YOU WISH TO POST THIS GIVEAWAY, I AM GRATEFUL. I still love to swing. There's just something about it you never outgrow. Oh Please enter me in your give away!! I love CSN store. I miss the simpler days of life. Even for children these days, life is much more complicated. I have swings in my backyard for the Grandkids to swing on! One of those swings was made by my sweet Daddy for my now 15 year old Granddaughter when she was a little tot:) I cherrish that swing! Hope you are having a sweet Tuesday morning and PLEASE put my name in the hat for this giveaway! CSN has SO many things I want:) HUGS! My grandchildren love to go to our house because we have an area in the garden that is for their MatchBox cars where they have made little ponds, rock mountains and all. Even the little girl drives her Hummer through the mud sometimes...lol...Also Grandpa has a golfcart he lets them drive.I would love to win your CSN giveaway. Thanks for the opportunity to enter your giveaway! I am catching up with all my favorite blogs and I find you having another giveaway. You are a peach. But most important you have a blessed day! What a great site CSN is. They have so much to pick from. I used to love swinging, especially on a tire swing! THanks for the giveaway! You are so welcome...I really want you to know I am thinking of you and praying for postive results for your husband, but also for your strength to get through the difficult times. I actually went to bed last night thinking I needed to catch up with you. My grandparents had a swing on a huge Buckeye tree and wow, we had a great time! Those were the good days, we would play outside till dark and no one ever worried about being kidnapped or anything. I am so sorry to hear about your husband's health! He will be in my prayers. You did a lovely post for CSN. I wish I could write as well as you. I miss my old swingset! I would LOVE a new spice rack! Right now my spice bottles are crammed into a drawer and NO MORE will fit in! I plan to hang a tire swing in our yard this summer for our grands! Oh the good ole days! I still love to swing, too! Ha! Playing outside or reading....those were my two childhood passions. Oh Marydon I cannot find a swing like that to fit into any more so the porch type has to do. It is just right for an old lady. I can only dream and remember the fun of pumping the legs and going higher and higher. Thanks for a great memory. Hope hubby is doing good. I am very sorry about Harold and will be including him and you in my daily prayers. I know that he is such a very kind man and is soooo very good to you and you to him. I pray it will all be alright. I don't know how he came to be sick but it sounds like it turned out to be a good thing...what the devil meant for evil GOD will turn around and make good. I use to love to swing and that is how Sherry broke her arm at grandma's...swinging down from a tree on a rope...her arm was about 3x's it should be and she had a tiny arm...she kept saying, "if you just take me home and let me sleep, I will be okay." I can't swing now because of vertigo. It will be okay Mary Don. I'd love a chance to enter your wonderful giveaway! I miss seeing my daughter swing. She would get lost in a world of her own. Hey she's 37 and can still do a cartwheel....giggle. I miss playing jacks and I did have a David Crocket hat. How fun! I remember swinging for hours at recess. I am glad I stopped by your blog today. Hi Marydon! Oh, sweet memories! I used to love to swing! I had a little swing set out under 'my trees'. Hope you're getting some rest too as hubby heals. Y'all will continue to be in my prayers. I used to live on a swing when I was little. I hated bugs (still do! ), and I knew that was one place they could never "get" me! I spent many happy hours happily swinging away, while reading books and playing in the sun. Thanks for the chance to relive those memories! Been thinking and praying for you and your dear husband--hang in there! That reminds me it's been ages since I went swinging. I must remedy that soon. I still swing in the playground at Church! Oh this is just wonderful! My fingers are crossed. Still in prayer for your DH and of course our sweet Sherry. Link up a bridal photo, etc. if you have one today. Would love to win something from CSN! Found you via Stray Stitches...she always posts some great links. Thanks for the memories of swings! I have always loved to swing - it's been years since I have though. I love CSN - thanks for a great giveaway! CSN is fantastic....so many great things! My best memories were on our swingset in our backyard. My sister and I used to challenge each other as to who could swing the highest and make our swingset do "cherry bumps" where the legs would actually lift out of the ground. I love to swing even at 54. Thanks for the memories and giveaway. I love CSN. I have gotten flannel sheets (the best I've ever had) and a few other things from them. I remember those swinging days, too. I also had a trapeze and from that I could climb into the tree-a long time ago! Thanks for this generous giveaway. I am old enough to have a grandchild, but I still love to swing. I think I am still a kid at heart. Life does seem as if it used to be so simple. Kids today will never know that kind of life, sort of sad. I hope your husband is doing well. I've been thinking of you both. Swinging...does the swing come with our own mountain...little cabin with one way in....one way out...a big fence around the base...and pure peacefulness? If it does...well count me in! So glad Harold is behaving himself..well, at least attempting to. I suppose he does deserve to be just a tad cranky. We are storming the heavens for you guys. I sure could use a BIG Marydon hug! Love you, Girlfriend! I used to hook my leg around a monkey bar, grab my knee and swing around and around and around! I don't think many things can bring us back to childhood as fast as a good old fashioned swing! I can sooooo remember my daughter, hair blowing in the wind, as the played out in the backyard on her swing.... A sweet, treasured memory. How have you been dear lady? Things have been so hectic here....not a lot of time for blogging. I need to get with it! Good Morning Mary, Please know I am very sorry your husband is ill! It is so very hard when a spouse becomes ill. I swing every chance I get. It helps when ya have so many grandkiddos 'round ya! Woohoo!!! Another great CSN giveaway...I'm shootin' for a comforter this time for the master. I just read about Harold..I did not know. I am so sorry he had to go through all this pain...thank God He came thru ok. I will keep Harold and you in my prayers..
Really big hugs for you dear and Harold. Mine had a tire swing. Now it is all so fancy and complicated. I bought lights from CSN and I am having a give away too on the 15th! Have a good weekend, M. Get well prayers for dh. Oh absolutely adore your site and of course would love to win!! Have you joined in my fine art giveaway? I remember those day "Oh So Well"! I used to be SO AFRAID the kid on the other end of the see-saw would jump off while I was up and let me FLY to the ground. Other than that I LOVED everything "Especially the swings"! Thank you for the memories AND the wonderful giveaway. "PLEASE ENTER ME"!!! Long before we even had a rope swing, we would swing on grapevines in the woods. There is not much I have not experienced during the old days. What a sweet post and wonderful giveaway. I love CSN...they sure do support us bloggers which makes them top on my list. Of course you too for having this for us to win. Love your story too makes me want to go outside for a while and swing. Count me in I would love to win a CSN giveaway!! Sending (((hugs))) to you and your hubby. thanks Marydon for visiting & chatting today ~ EveRy Blessing! There is nothing better than a swing!!! Have a beautiful day my friend!!! I love to swing. I have a porch swing and I take my book out there and lose track of time. Hi! Saw this on Sandy's blog and came to enter. I have a CSN giveaway, too, if you'd like to enter mine still today! i would love to be entered in your generous giveaway!! As we get older we move onto porch swings but still enjoy the sensation. Great "imaginations" were all one needed a few years ago. When we were little girls, my sister and I used to put on "plays" for our Grandparents because they didn't have a good TV and we were bored. My how things have changed....maybe not all for the best either. Best wishes to all regarding your contest!!! There are few things more fun that the feeling of swinging high in the sky on a beautiful day! Love those swings but not so high not so much anymore -smile-. A porch swing would be lovely though; it's a good addition to the porch chairs and ice tea. Hope y'all are doing better; you're on the prayer list. I love the postcard message ~ The best cosmetic for beauty is happiness! And the most longlasting is JOY! Oh thank you for this wonderful opportunity to enter such a generous giveaway! How exciting. please enter me!! Love stories and memories of simpler times. Thanks for stopping by! I'd be thrilled to win your giveaway! As Tete, I still enjoy swinging too. 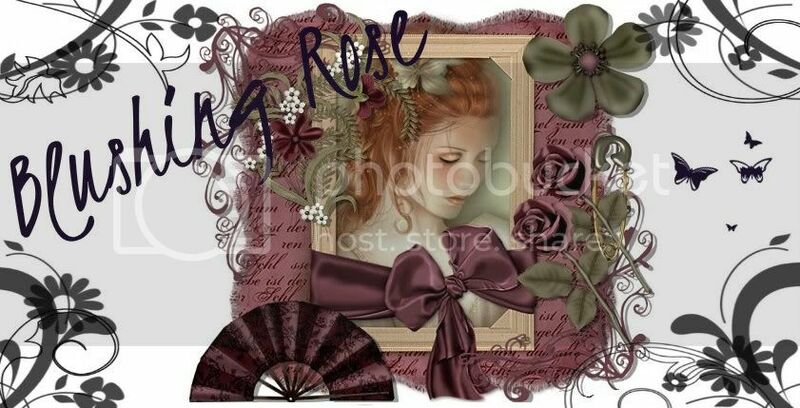 I love the art you have on your site, so sweet and memory evoking for me. I still enjoy swinging :) My porch swing is one of my favorite places to relax. Please enter me in your give away! I love CSN Stores they have gorgeous stuff! The good old days of swinging and day dreaming! <3 CSN, thanks for the giveaway! That story takes me back -- and good weather is right ahead Thanks for the giveaway for the CSN gift cert..
Having a little boy at my age (45) gives me the chance to do all those great things again. I love it. My son shows me the beauty in the world that I forgot was there. Hello there, thank you for inviting me over. I enjoy your blog, so lovely. Yup! Give me the simple life any day. I am trying to hard to let my kids experience the same laid back days I did as a kid. Just give them time to be kids. Have a great day Marydon. This looks great and what fun to pick a new house treat! Thanks so much for the opportunity, sweetie! Hi Marydon, I would love to win your CSN giveaway. Thanks for sponsoring it! Your post made me think about the good old days and watching the little ones at the day care playground while I waited for my son to get out of class. Watching them swing wondering what they were thinking about. I would love to enter your giveaway. Have a great day. Your Missouri Friend. I'm always up for a give away! Count me in! I love CSN, and I do follow your blog. I am trying so hard to win a giveaway for CSN cause I need a 10 drawer storage cart for my homeschool. I'd love a swing for my toddler! Makes me miss the tire swing I had when I was a kid, awww. I would love to win the gift card to get something for my son. Thanks for the fun giveaway. Marydon so happy you stopped by today or I would have missed your giveaway please count me in and have a great day dear friend!! I still love to swing when I come across one!! It was one of the favorite pastimes of mine when I was little! Oh yes I would love to win! Oh, this is such a sweet and generous give-away. I would love to win. I am happily following your beautiful blog! My daddy hung a swing in a tree for my sister and me. That swing served as many things in our play: rocket ships, stage coaches, horses, etc. It was well used. I have two little girls that would be so super excited if we won!! Thank you! So cute. Sprout is still learning how to swing. Cubbie still goes in one of those baby swings. How did I miss this post??? Oh well, now I'm entered! Thanks. Just stopping in to say "hello". I just came in from painting. I MUST get me an easel or make myself one. Hunching over the paint table has my back aching. Love your blog. Swinging was one of my favorite activities, still is, with my little nephews. Thanks for the giveaway! I love CSN, and that was a lovely post!